"Parting Ways" explores the emergence of new end-of-life rituals in America that celebrate the dying and reinvent the roles of family and community at the deathbed. Denise Carson contrasts her father's passing in the 1980s, governed by the structures of institutionalized death, with her mother's death some two decades later. 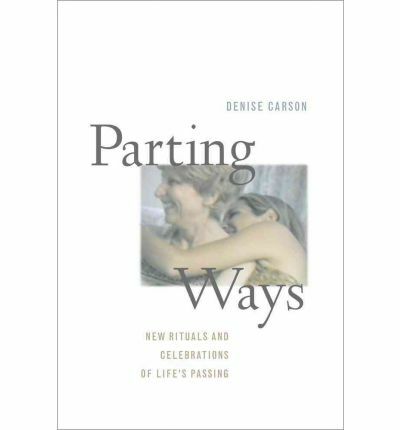 Carson's moving account of her mother's dying at home vividly portrays a ceremonial farewell known as a living wake, showing how it closed the gap between social and biological death while opening the door for family and friends to reminisce with her mother. Carson also investigates a variety of solutions - living funerals, oral ethical wills, and home funerals - that revise the impending death scenario. Integrating the profoundly personal with the objectively historical, "Parting Ways" calls for an 'end of life revolution' to change the way of death in America.